Are you in a hurry tonight? Here’s a quick, one-pot meal. 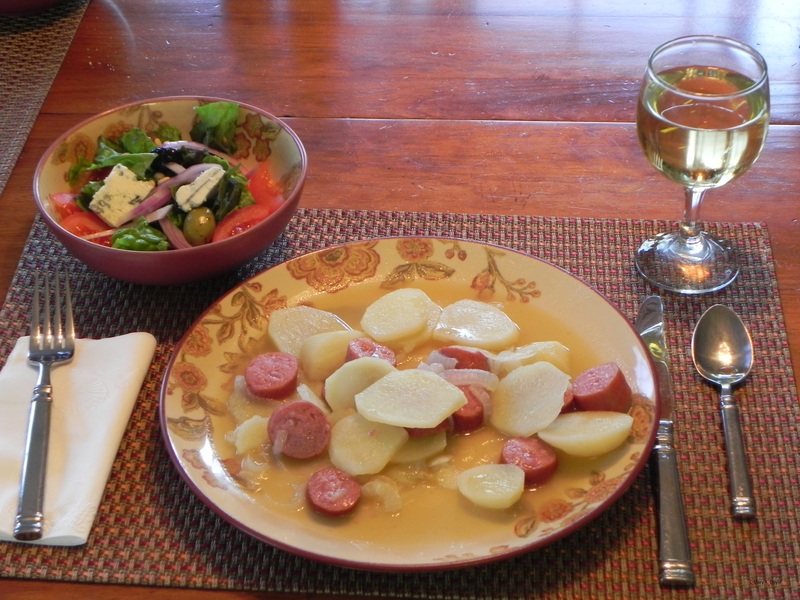 Sausage, Potato, and Onion Dinner is hearty, tasty and very easy to prepare. Add a salad for a well-rounded meal. 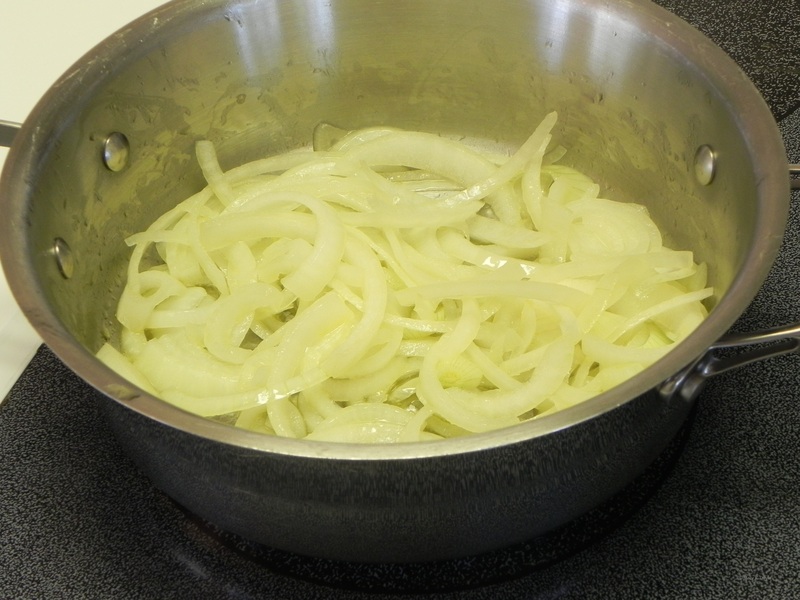 Sauté the onion over medium heat until translucent. 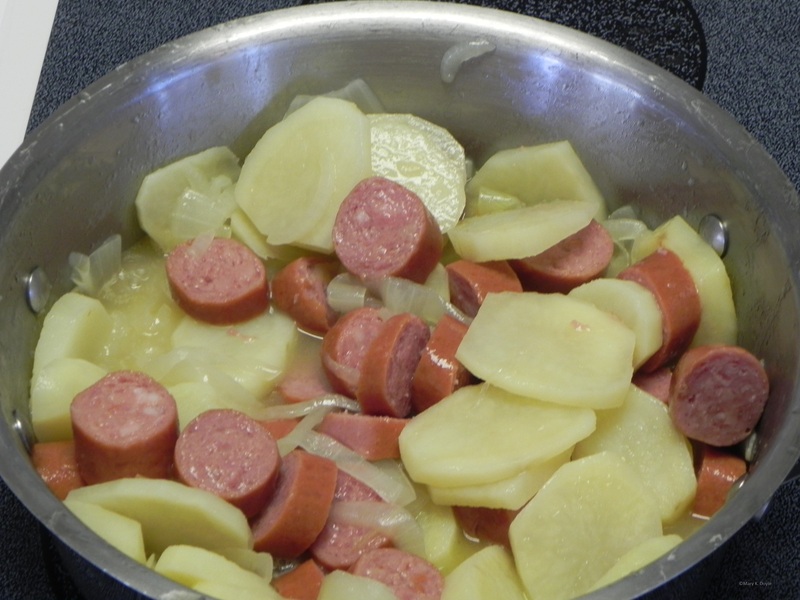 Add the potatoes and cook until slightly tender. Add the sausage and water. Thanks for the idea! It sounds delicious!!! !